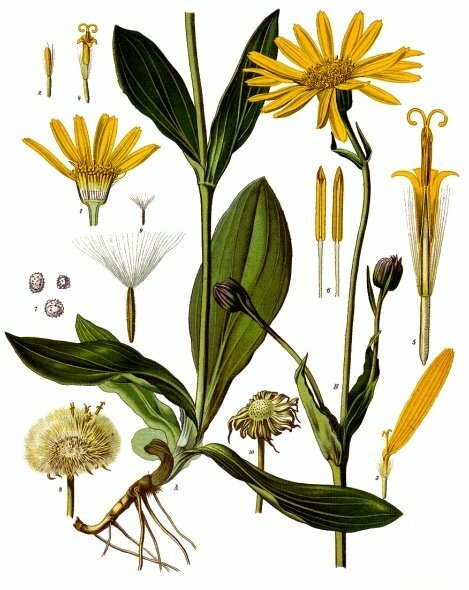 Arnica belongs to the same Compositae family as Calendula officinalis and Bellis perennis. It is a European flowering perennial herb, indigenous to Central Europe, in woods and mountain pastures. 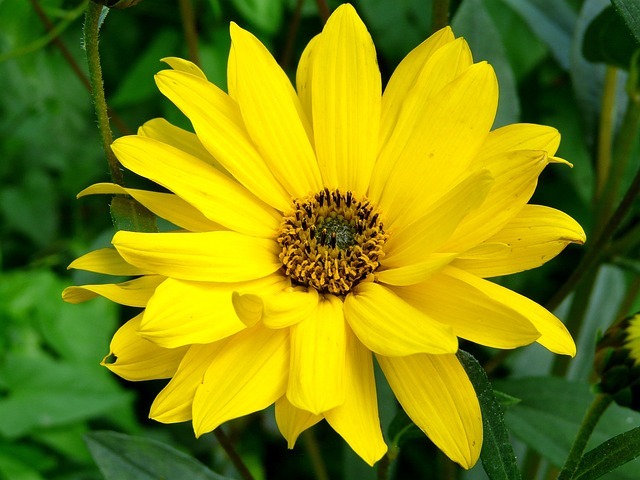 Arnica has been used in homeopathic medicine for over two hundred years in both oral and topical preparations. Arnica, the trauma remedy par excellence. Promotes healing and reduces bruising of damaged tissues. First remedy to take post trauma including after injuring such as concussions, contusions, compressions, and any injury leading to significant bruising. Produces conditions upon the system quite similar to those resulting from injuries, falls, blows, contusions. It is especially suited to cases when any injury, however remote, seems to have caused the present trouble. Fears touch, or the approach of anyone. Growing on the mountains, Arnica may be said to possess a native affinity to the effects of falls. The traumatic par excellence. Trauma in all its varieties and effects, recent and remote, is met by Arnica as by no other single drug. Better with head low or in a horizontal position; worse when rising from a seat or assuming an erect position.